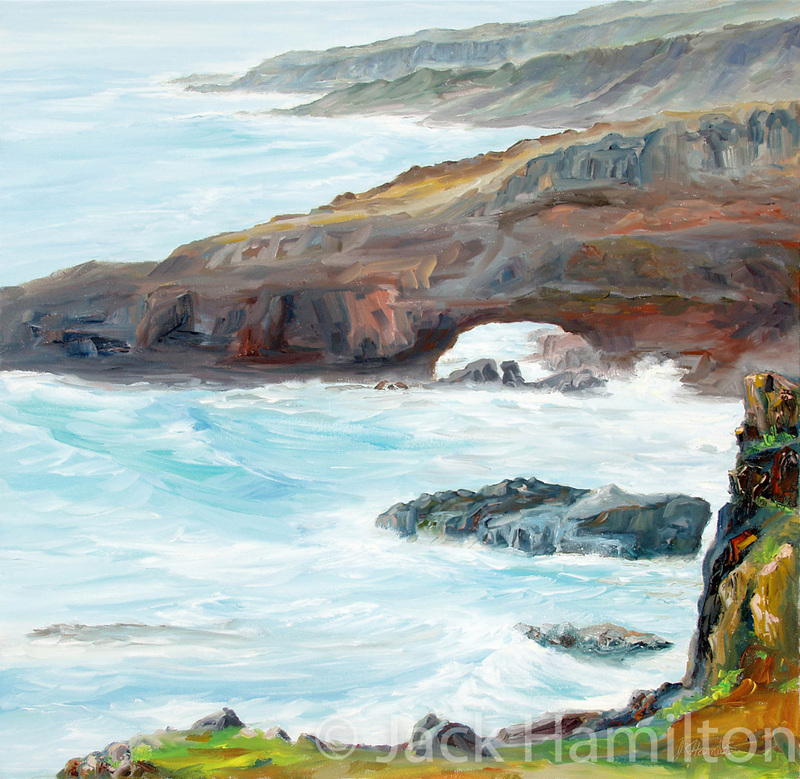 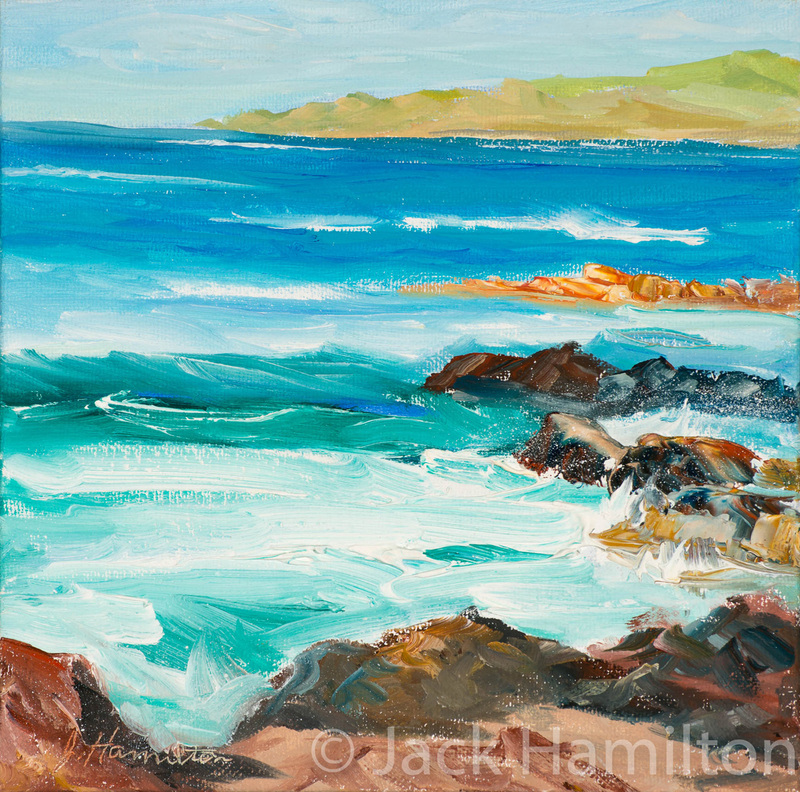 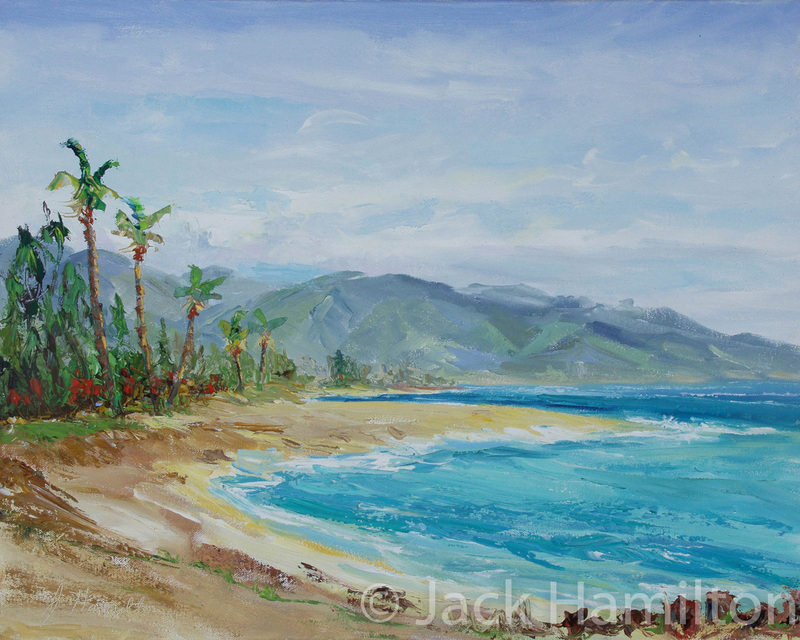 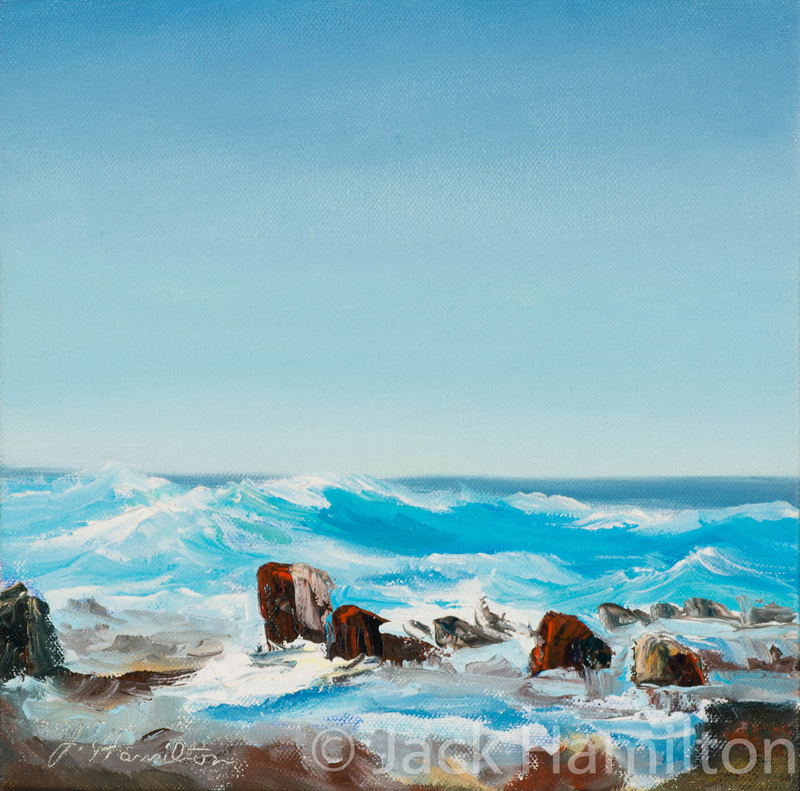 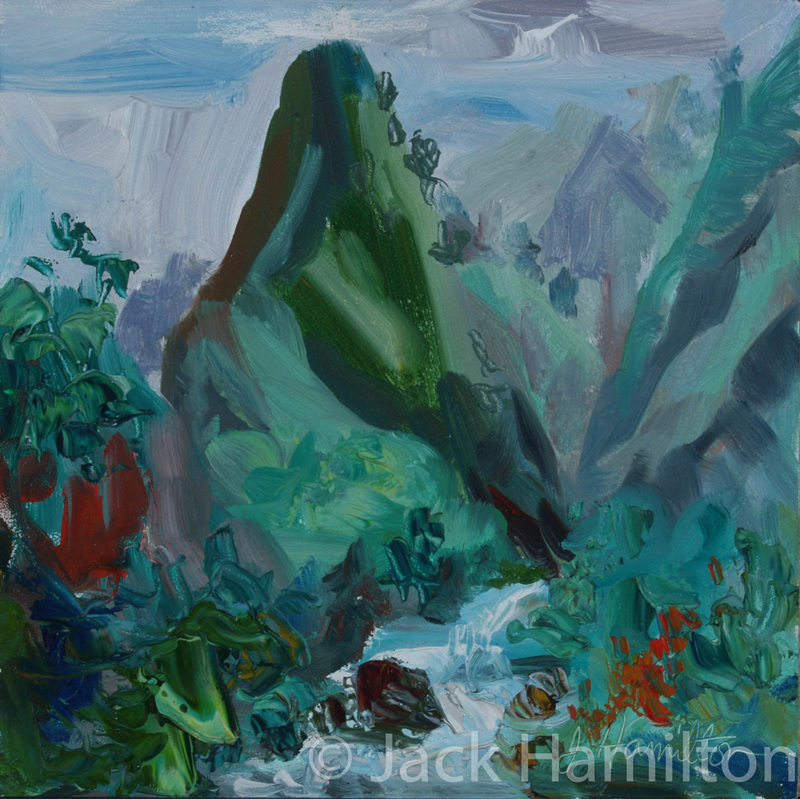 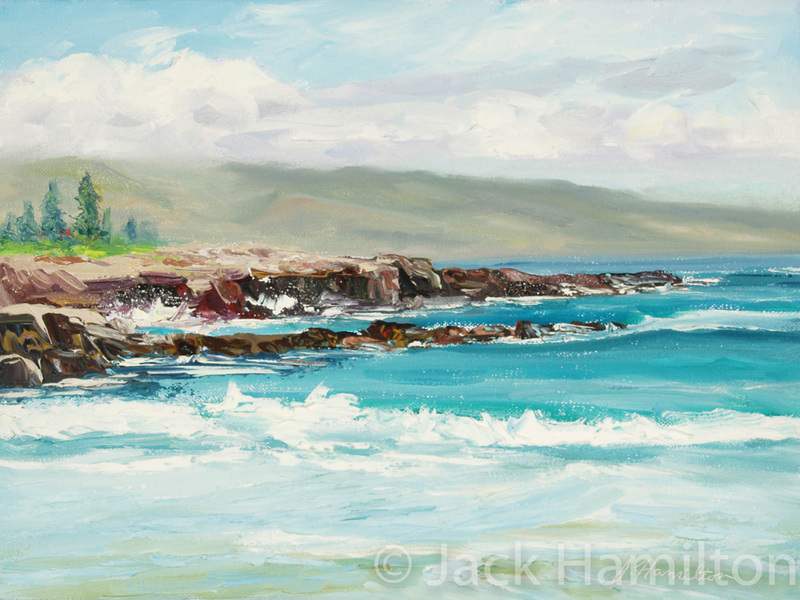 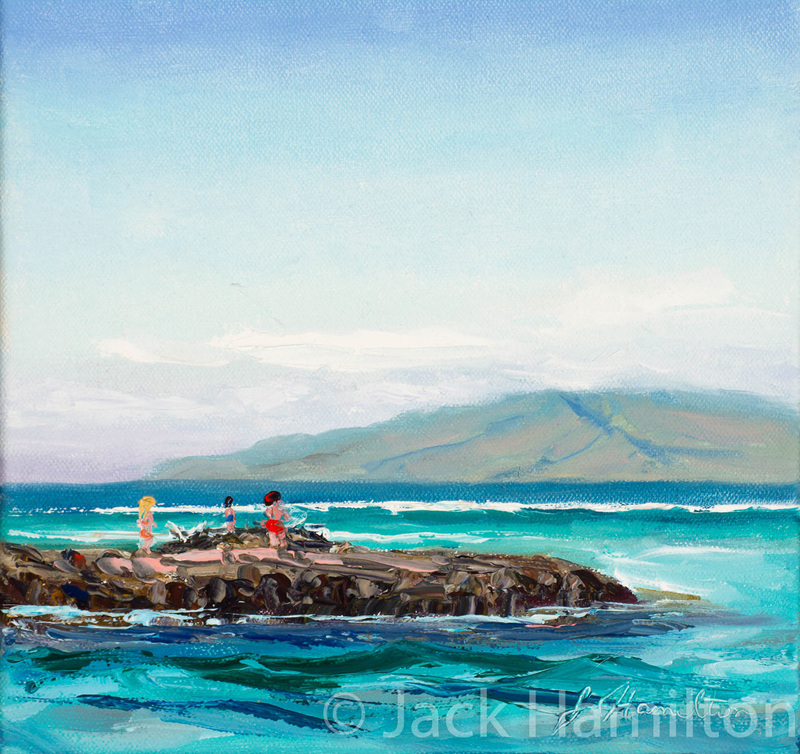 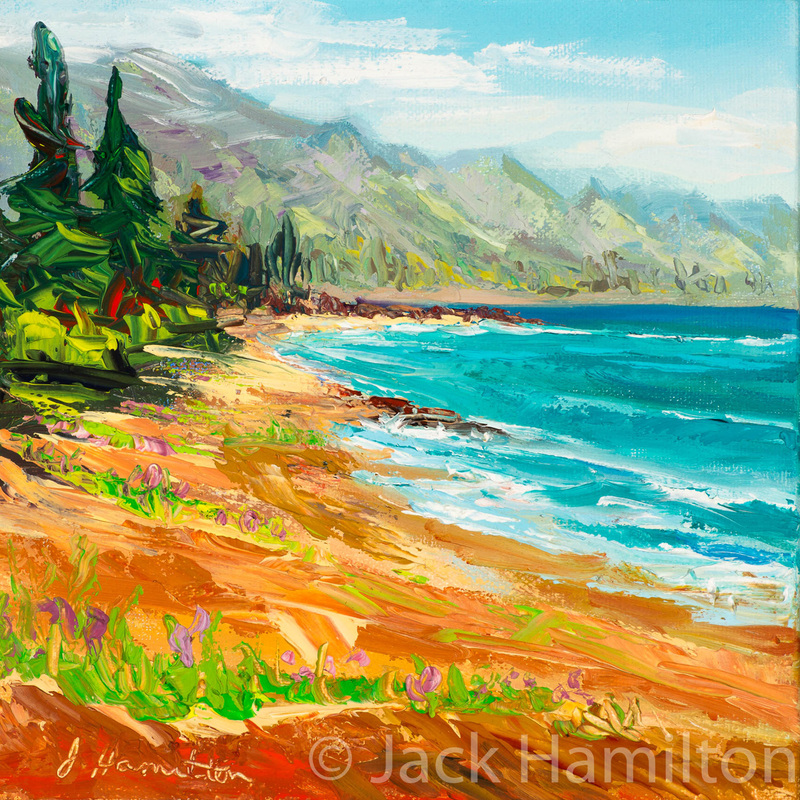 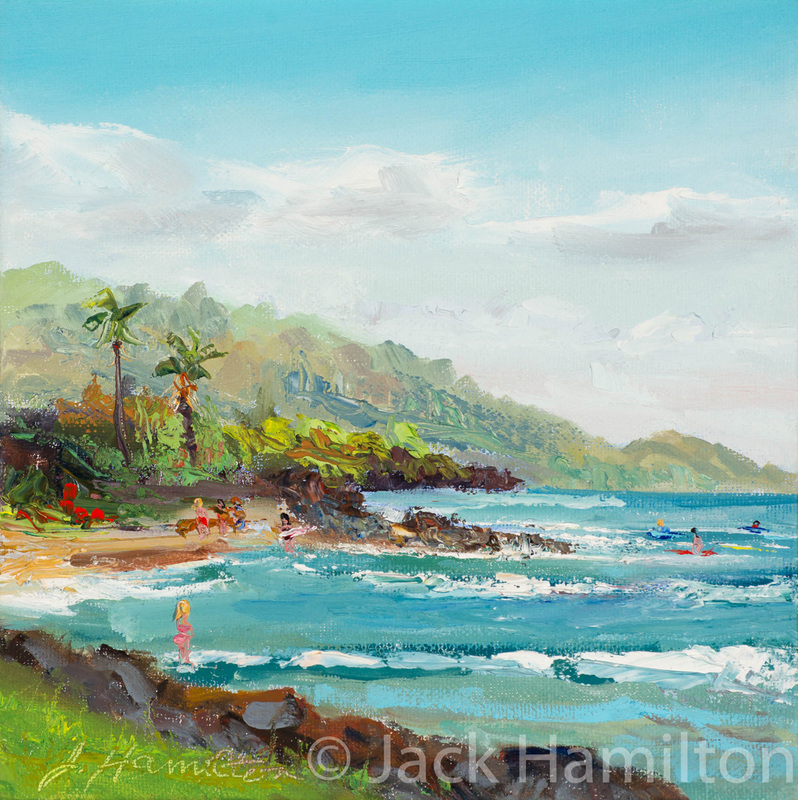 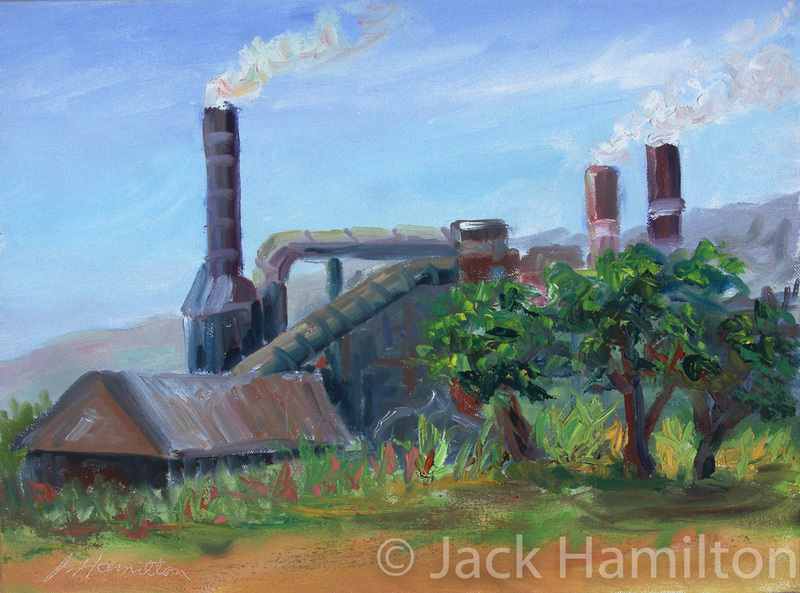 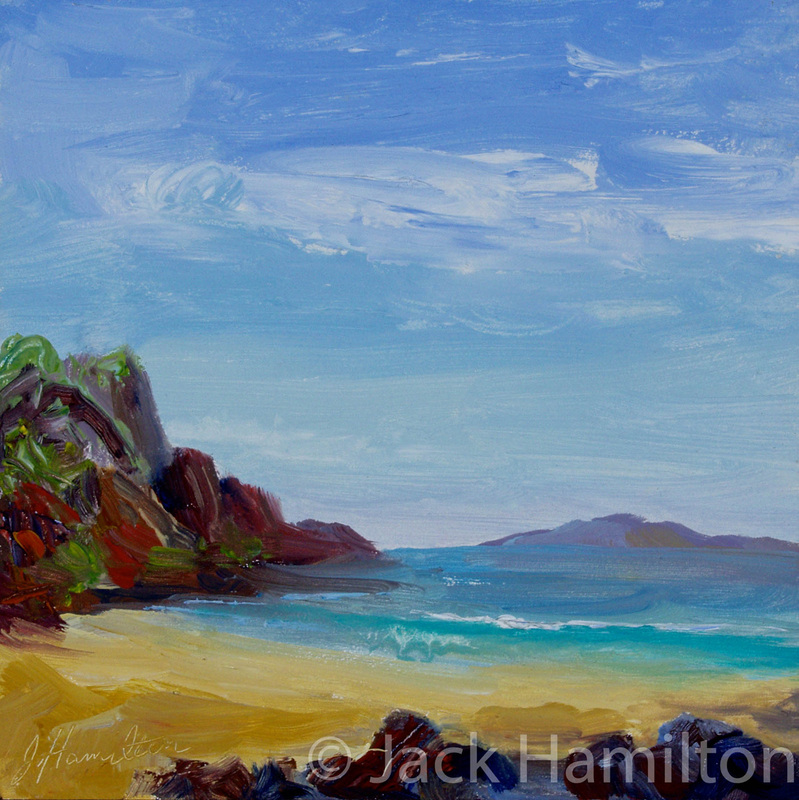 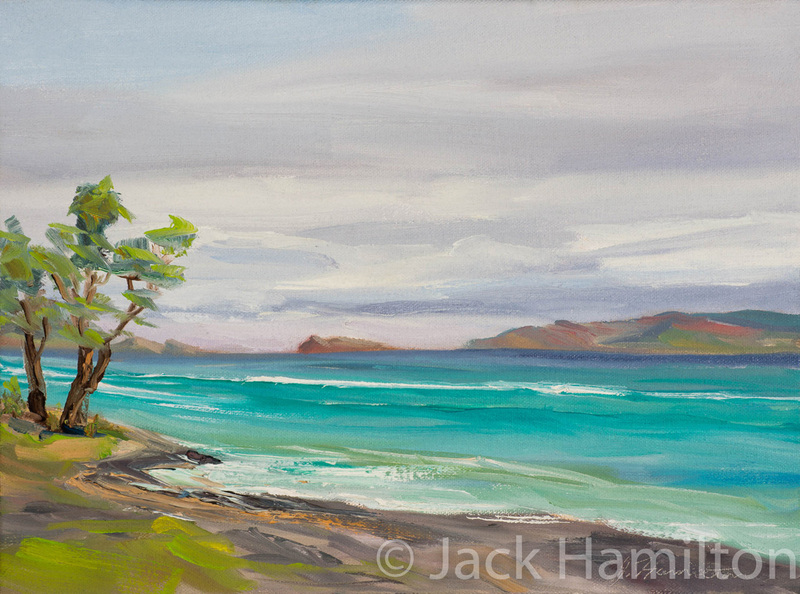 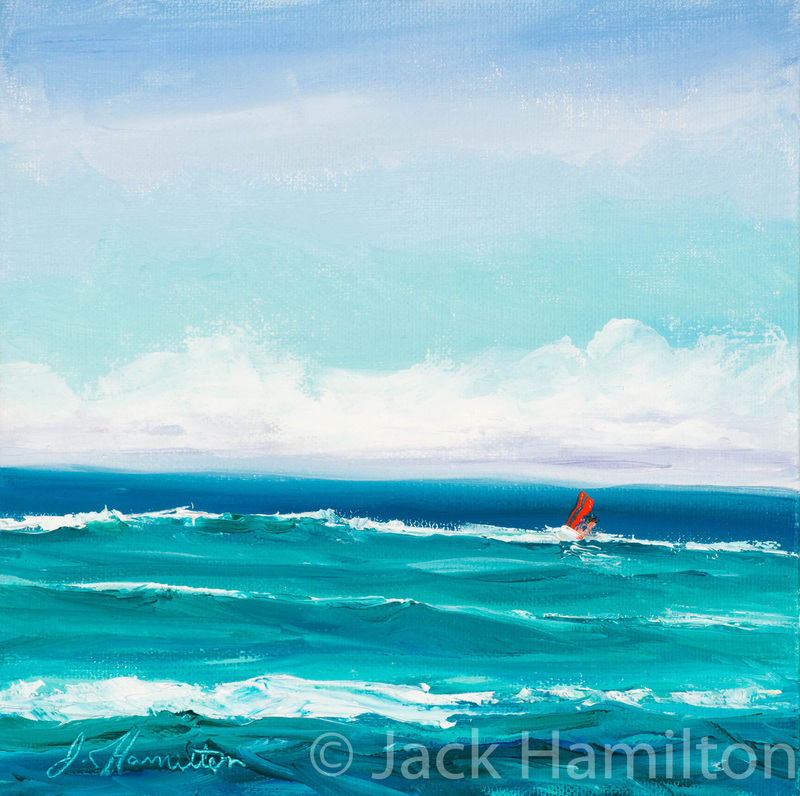 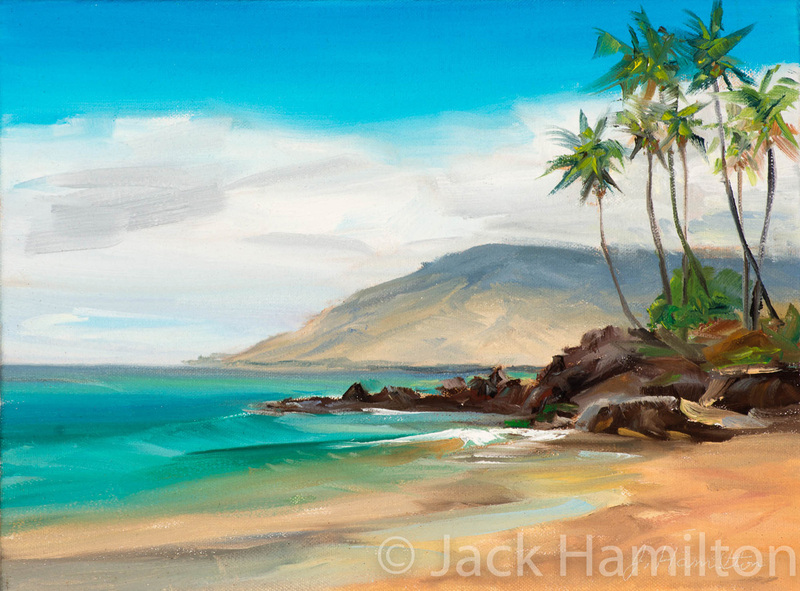 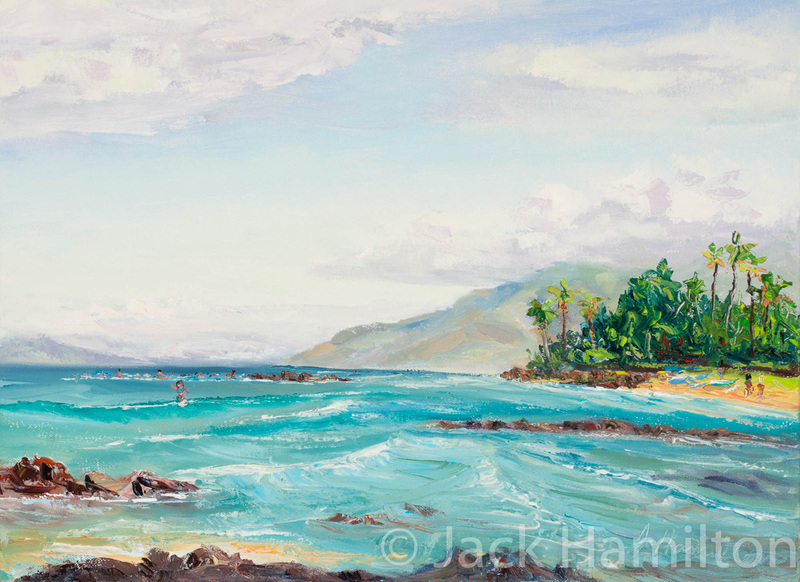 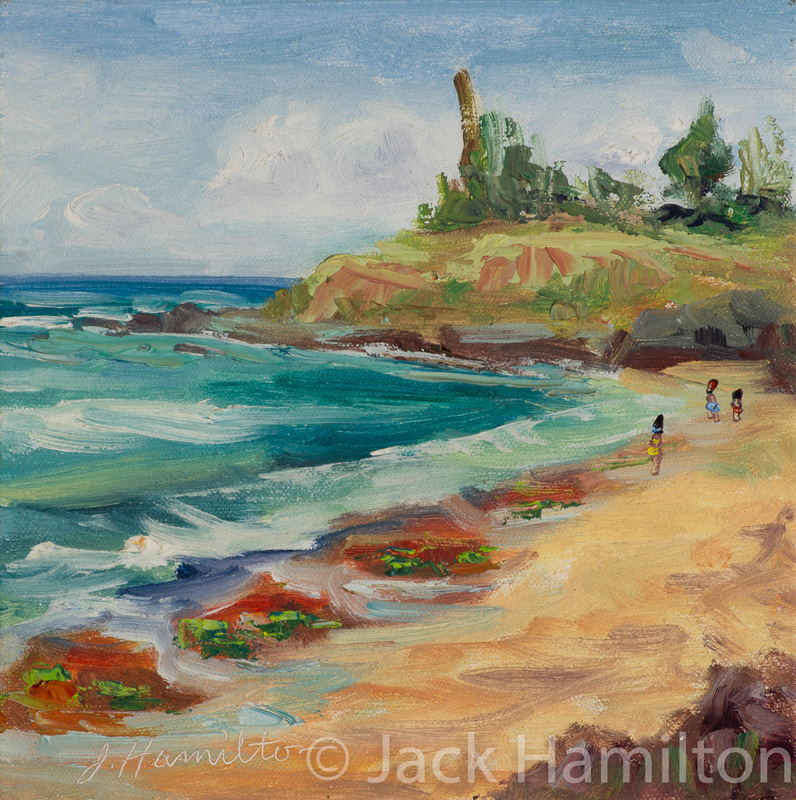 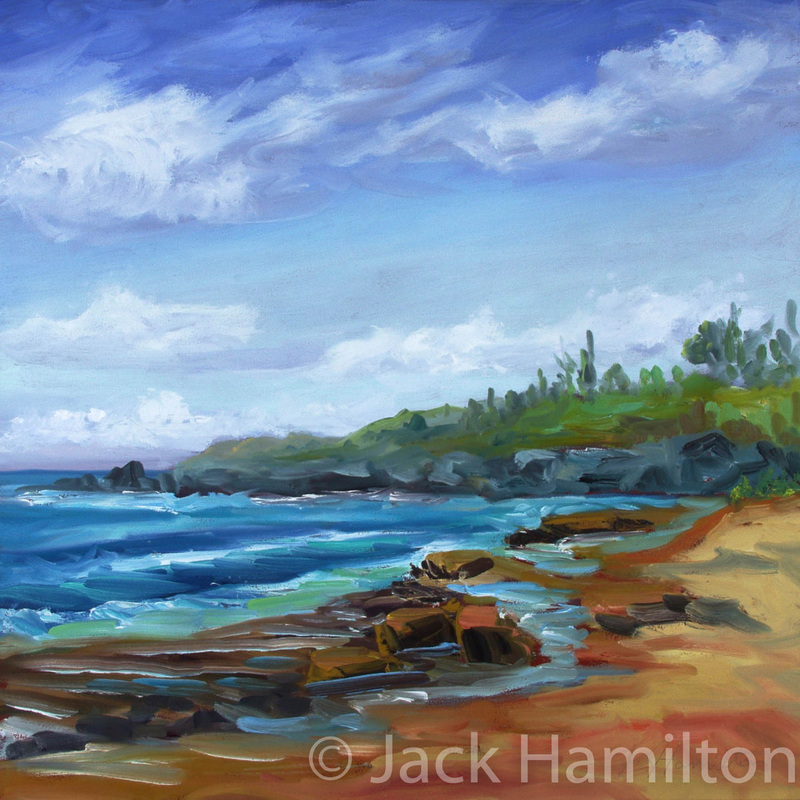 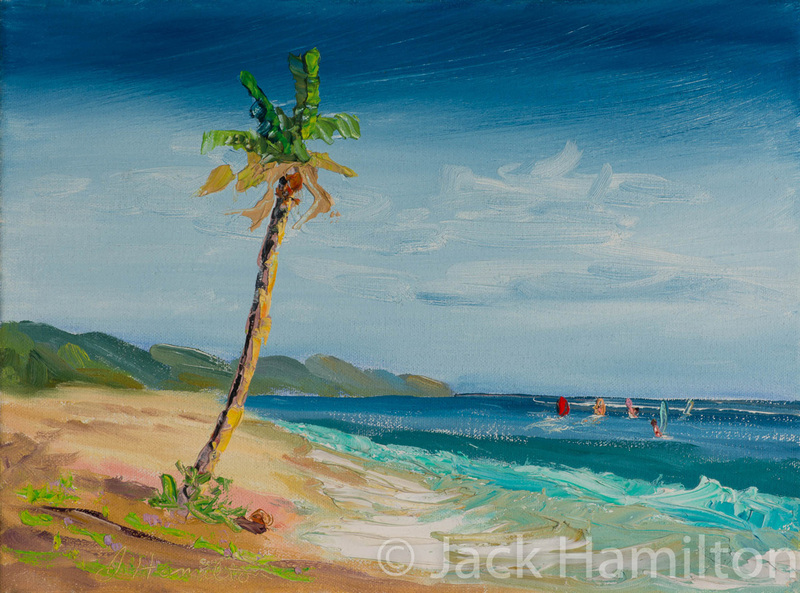 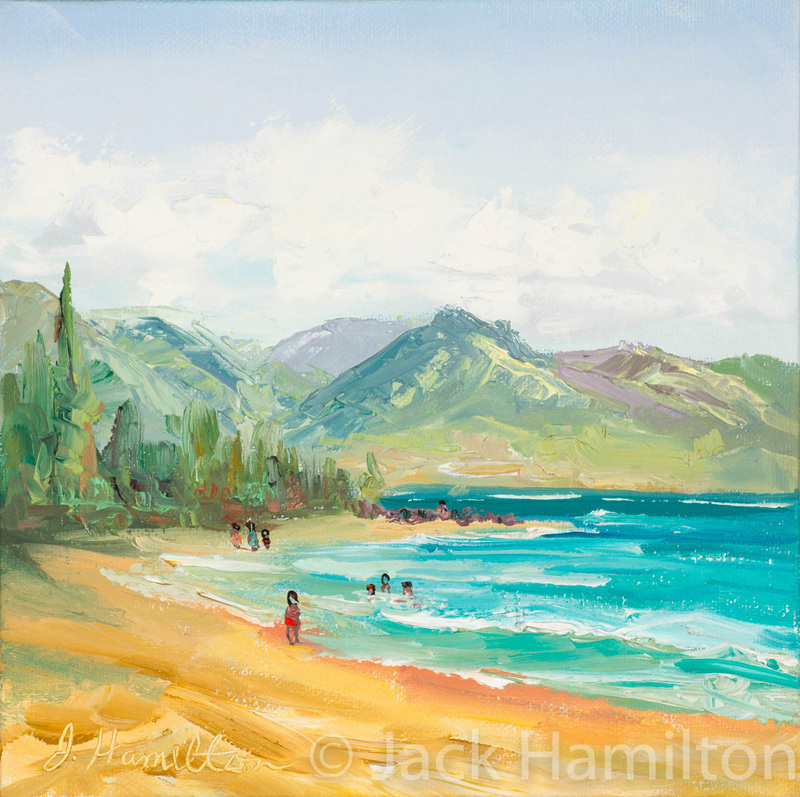 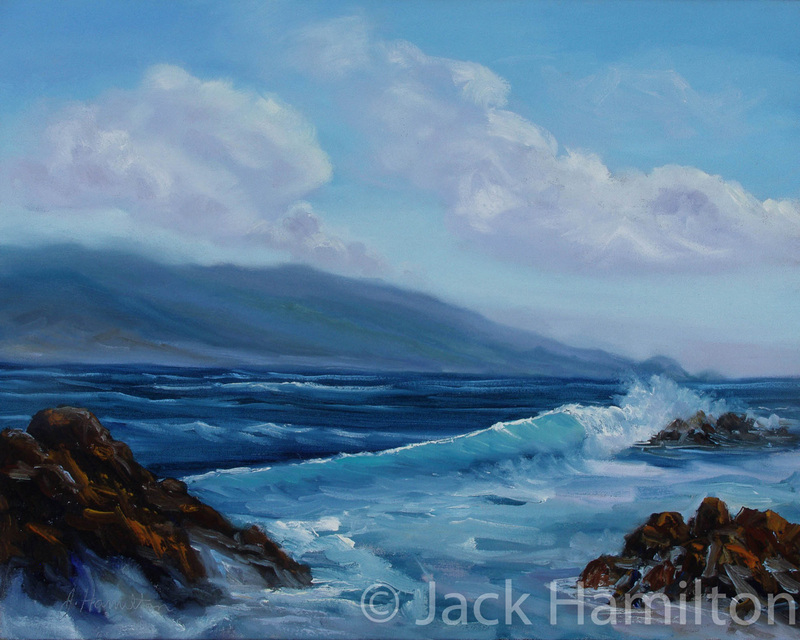 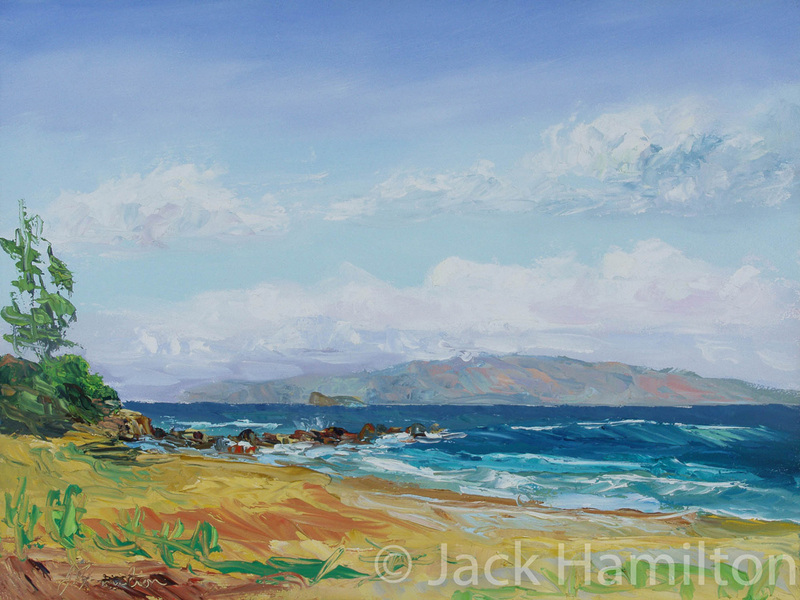 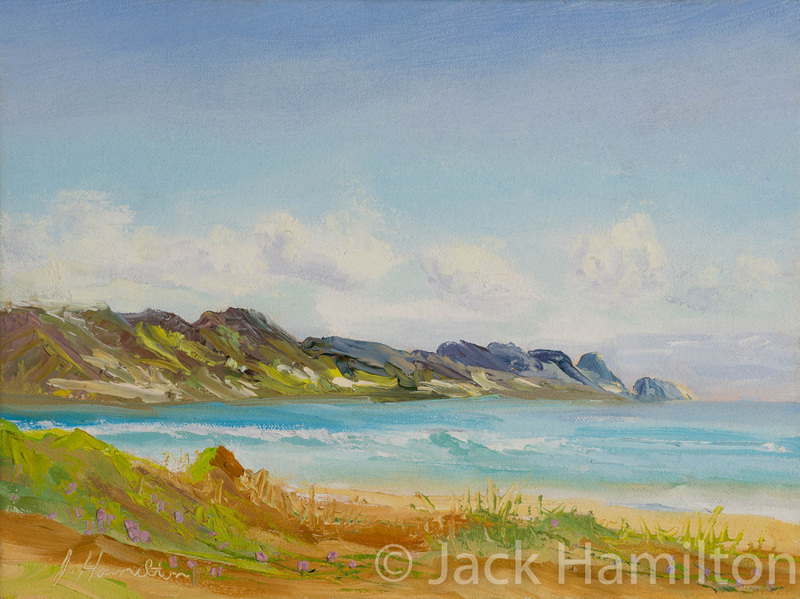 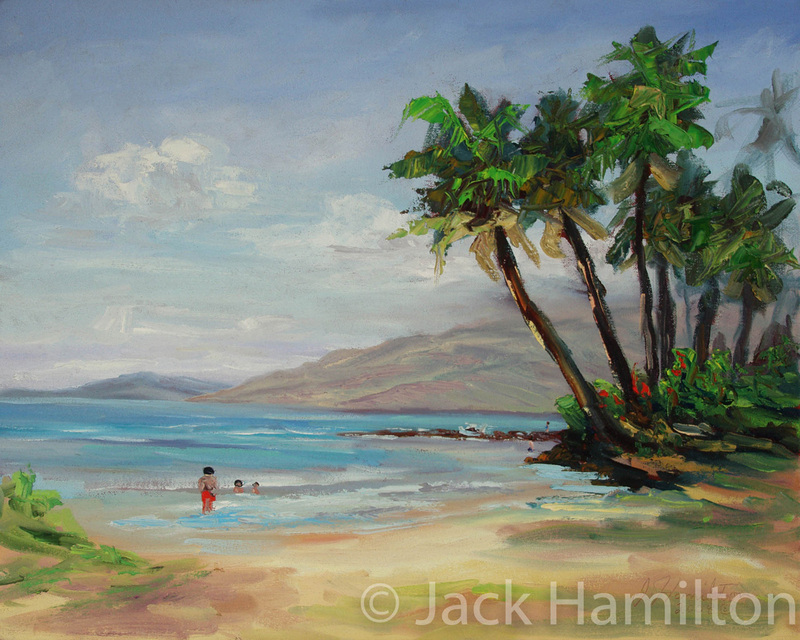 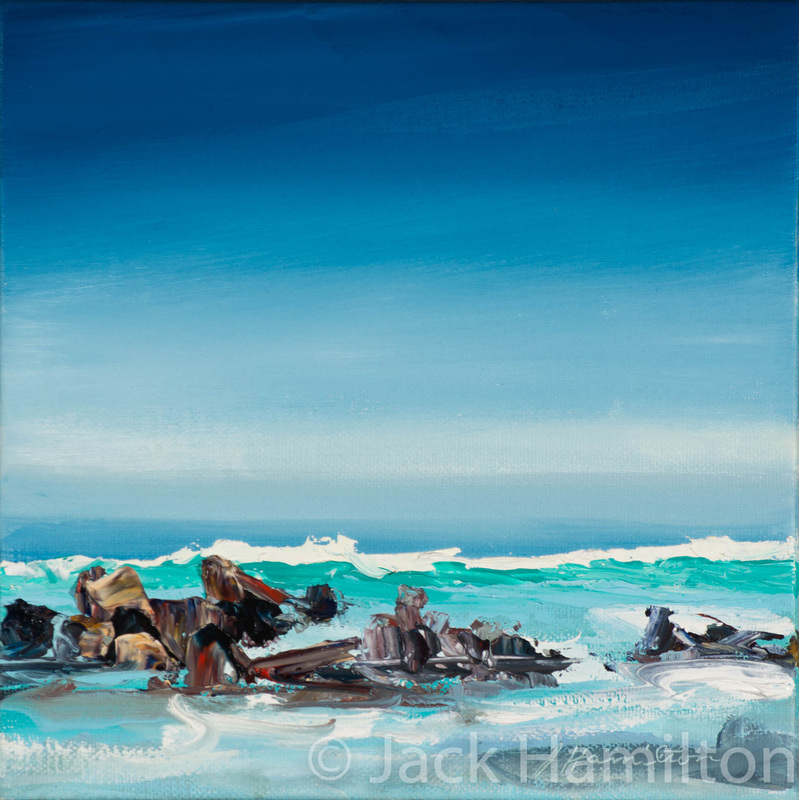 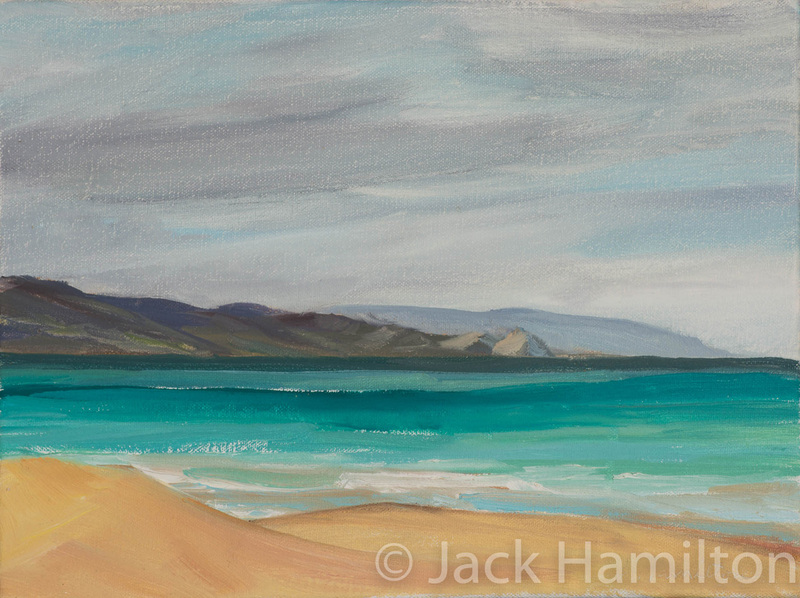 Jack Hamilton has been a silversmith for over 40 years and a fine art oil painter for over 20 years. 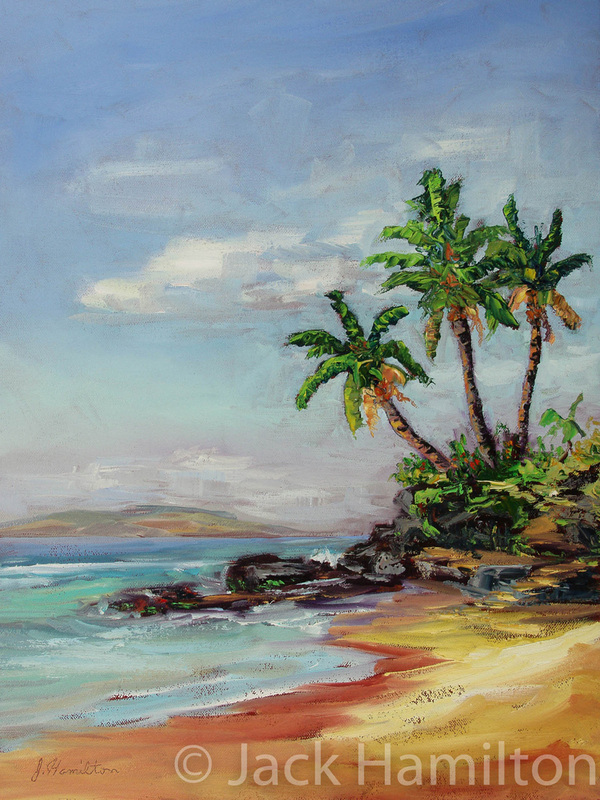 In 1992 he became one of the founding artists of Maui Hands. 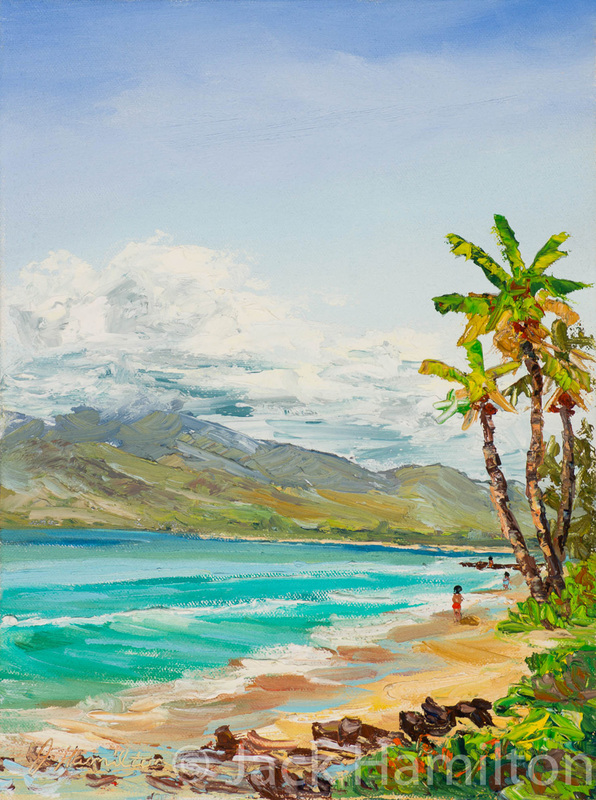 Astoundingly popular, he has since sold in the galleries over 700 paintings and over 2500 unique sterling silver jewelry pieces. 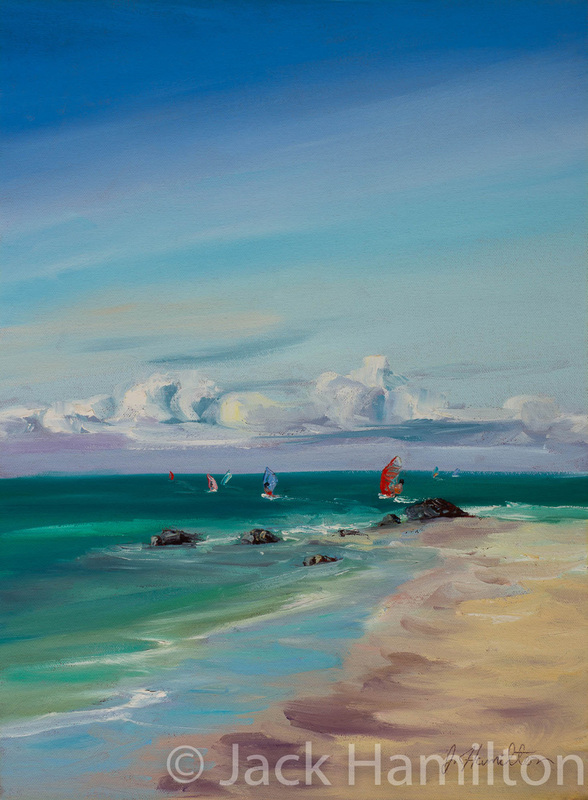 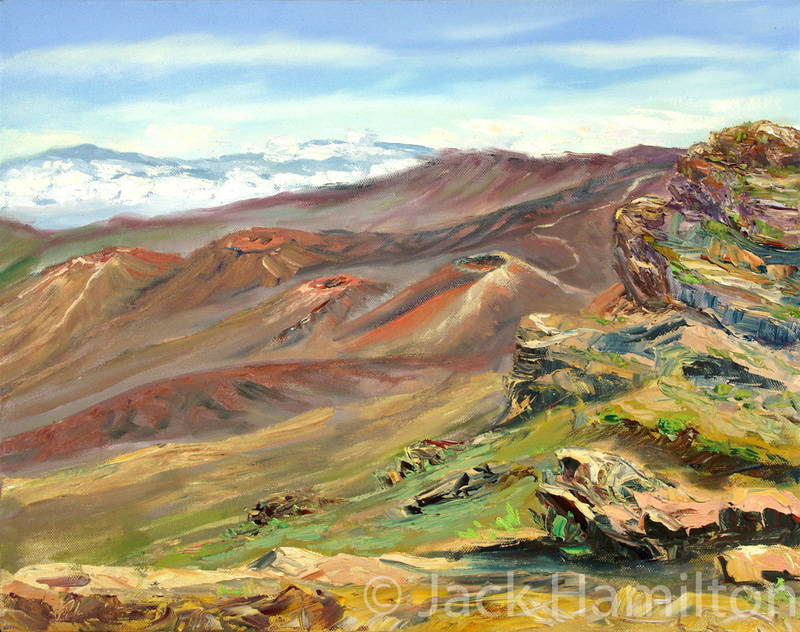 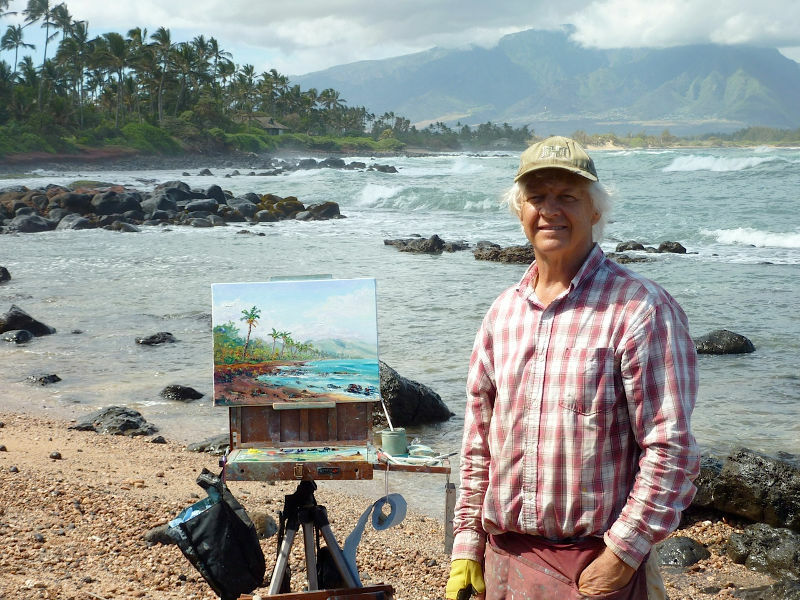 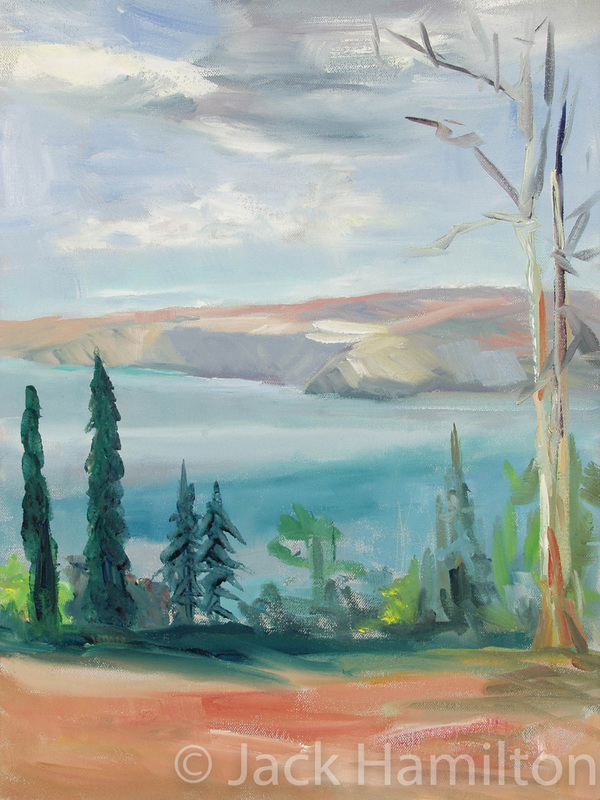 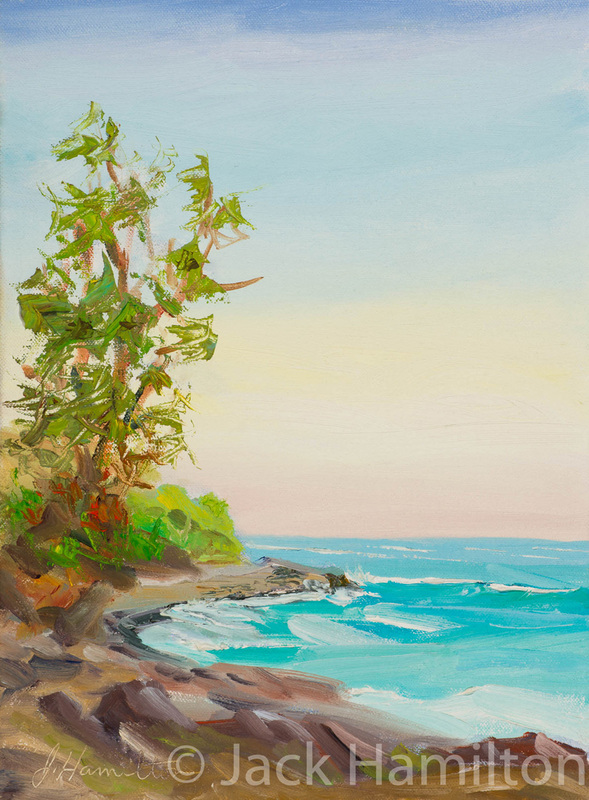 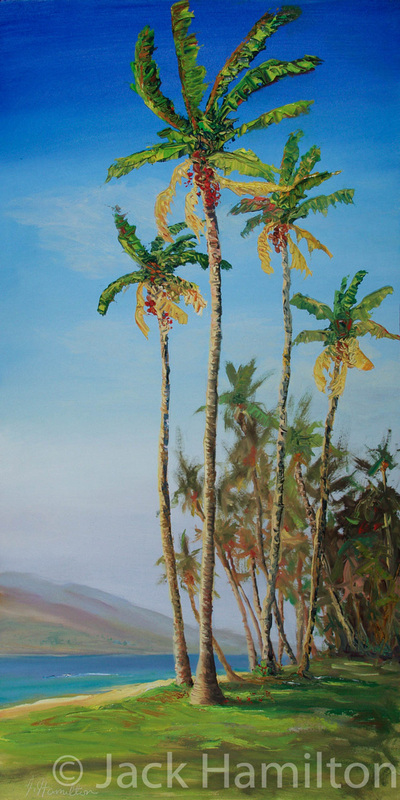 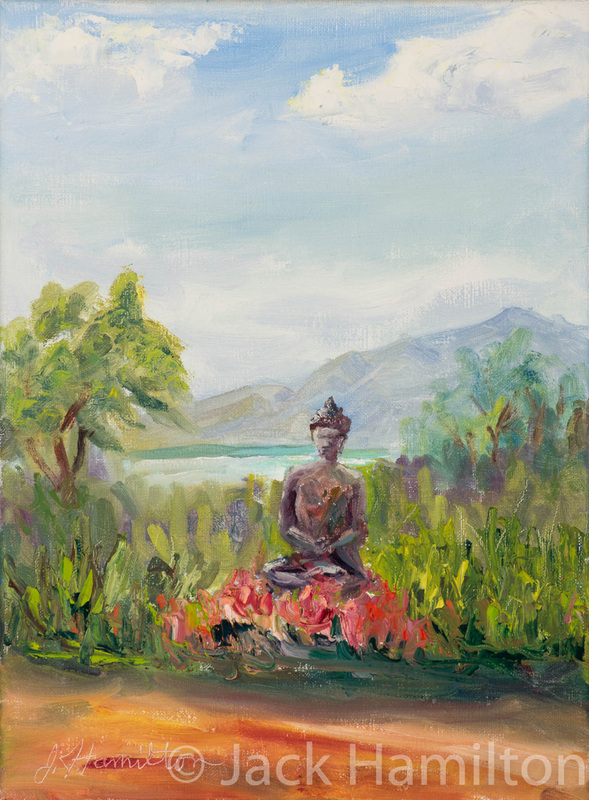 He loves painting from nature and says he feels very fortunate to paint “en plein air” (in the open) on Maui. 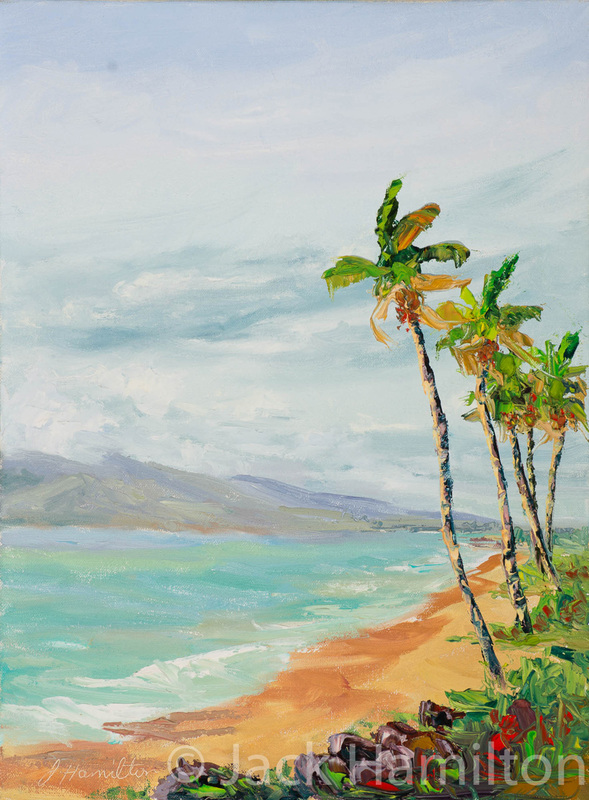 He lives with his wife Melani and kids, upcountry Maui, in Ulupalakua. 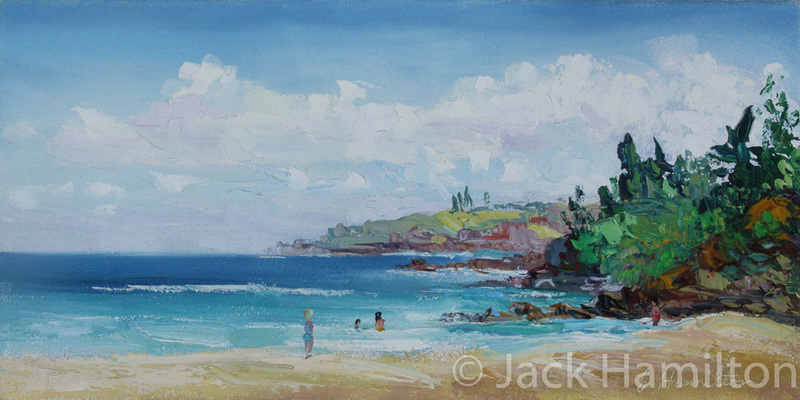 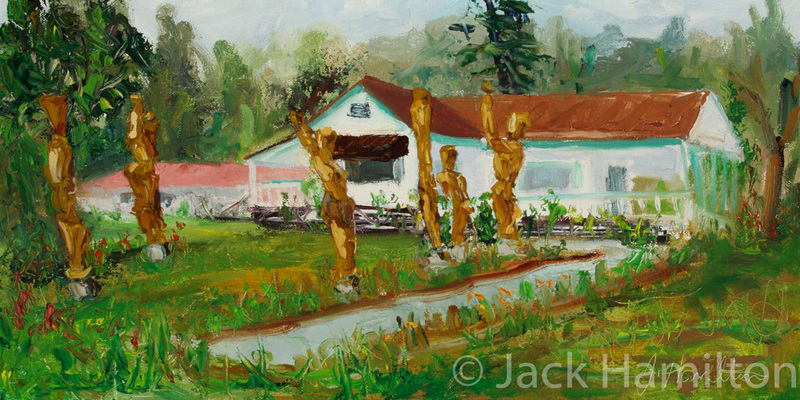 Jack paints on canvas and his pieces are available framed or unframed on a stretcher bar. 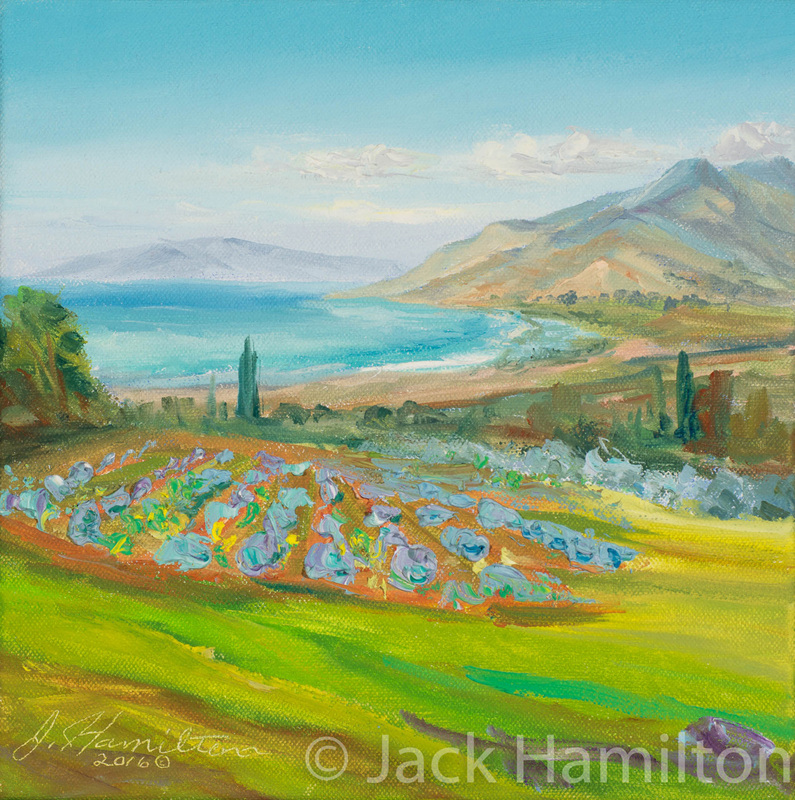 Check out his jewelry page on this website!